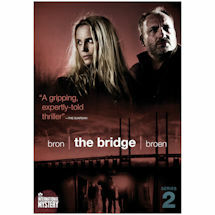 When the remains of a brutal murder are found in the middle of the bridge connecting Copenhagen, Denmark, with Malmo, Sweden, detectives from both nations must work together to solve it. 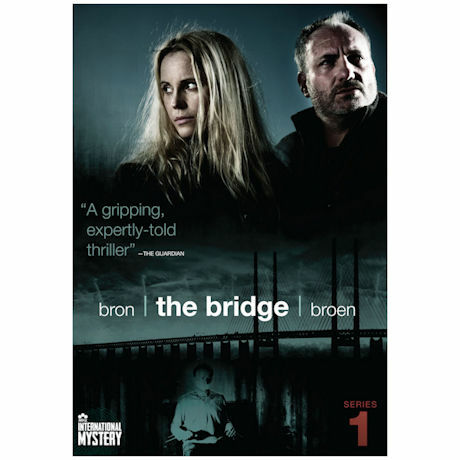 Sofia Helin stars as Saga Noren, a blunt, brilliant Swedish detective with poor social skills, in an internationally acclaimed series seen in the US on MHz. 10 episodes, 9 ¾ hrs, 4 DVDs. Mature audiences. Danish and Swedish with English subtitles.